Most of our beliefs and thinking about the product/services, human being, places, etc are formed by the noises generated by those people who have not experienced those products/services, interacted or done any business with the human being, visited the place or so. Stock market is one of the best examples which evolved with such bundle of noises. More than 95% of retail traders are losing their hard earned money as their emotions get kicked due to mighty outside noises and they lose their patience. This market is one of the cleanest businesses as of date. This business is entirely operated online now. Every entrant is required to have a Demat and Trading account to do any transaction in the market. This helps to have a count of total fund being moved in the market. Since everything is recorded so your fund is always secured. The beauty of this market is that everyone here either it’s a common man or any celebrity/politician/business tycoon both are treated equally. To explain this point, both have to pay the same price to buy a particular stock. What else, when it comes to fairness present in the market, we can expect from any business still most of the traders take it as a gambling activity. Majority of the retail traders have never treated Stock market as a serious affair in fact they treat it as a Casino where they can try their luck to be rich overnight. 95% traders are losing and only 5% are making money in the market: Yes, the scenario of number of people meeting losses is huge in the market. Generally, those who are making profits are the traders who are working for big corporate houses, institutional traders and few successful retail traders. In normal days, we can only meet and see the retail traders and since they are losing so we hardly have been able to observe the positive outcome. Mostly are here for gambling: There is a lot of movement in the market. It changes every second. The constant movements in the chart make the entire activity of trading a fascinating act. Since there is a lot of money involved every second so for retail traders, it seems a place to try luck and look for the right opportunity to make a huge amount for them. The moment Luck factor comes into the picture, seriousness cannot be the way of involvement for business and gambling instincts of human psyche gets activated. Instant money becomes the main target: More than Rs. 3 lac cr is traded every day in the market. For a retail trader this is a huge amount to even talk about. He when stay in the market for few months starts associating himself as a part of the market where such huge fund is transacted on daily basis and dreams of making big money for him too as he feels that from the vast open, he also deserves a good chunk. His greediness only circulates money-2 in his mind constantly and then he everyday starts trying to make big money from the market. The more he loses his fund the more he focuses on generating money overnight to recover his losses. Risk factor changes the perspective: Since almost 10 millions traders are present at the portal on daily basis and mapping of mind of such huge numbers present in different corners of the country is not possible, this makes the stock market a risky affair. 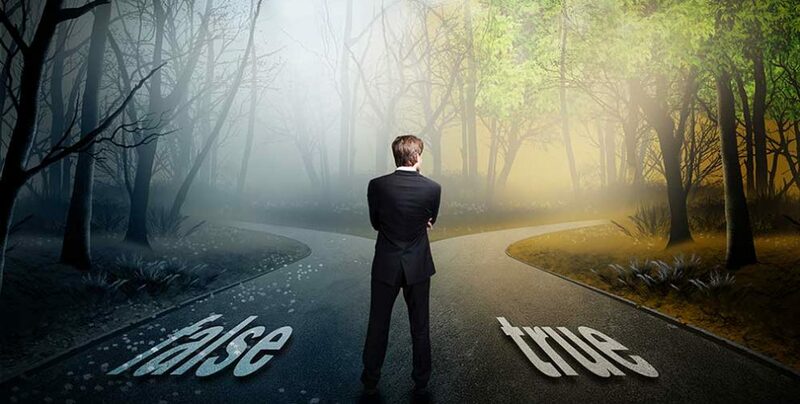 Generally, a trader is risk-averse so wherever he is investing money in stock market, due to risk factor involved, he never sticks to his goal, he never become serious about his conduct in the market, his trading behaviour. His attitude towards the market becomes shaky and that shows even in the outcome. Reliable information/knowledge is hardly available: The pool of knowledge sources related to market has been mainly created by those who have not been able to make good money from the market. Generally, a trader accesses the information available via television and Internet however most this information floated through these sources are published by advisers and analyst. They are just doing prediction and the business is not run with the help of prediction. The actual successful people from this industry – the real traders don’t come into open to discuss the way trading should be taken as they are very busy and focused towards their trading activities. This makes it tougher for the retail traders to understand this market in better way. It is projected as a complex business: Established authorities who have been ruling the market for many years have projected the market activities as a complex affair. It has always been shown as a field which can only be dealt by people who understand jargon, who have excellent knowledge of the market, etc. The truth is – It is as simple as any other business. Yes, it’s true that it is bit riskier because market scenario changes every second however in that case it also gives better consistent return than any other business. Also this business requires very small investment in comparison to others. Reading the above points, it is clarified that the market is not wrong in fact the investors have played it wrong and have portrayed it as a gambling portal. The good news is as of today there are many firms like Niftymillionaire which are working in the same market with different thought process and have been able to change the scenario for a small trader. We also have few farmers who are associated with us as a trader. Market and market related activities have been simplified a lot by us with the help of technology. Education material which can be understood by even a layman has been floated since last couple of years. Written and video materials have been circulated with the help of YouTube and various digital portals. The scenario is changing. Now the retail trader needs to understand his responsibility. They need to work on their behaviour and psychology. Issues which have made the market a tough field will keep taking birth even in future however their new attitude, born out of working on their psychology, will help them to face such difficulties with professionalism and they can trace their own path of becoming a successful trader. Nice article good information. Very well explained some of the common mistakes by investors. One should never hesitate to take help of experts.